For the 2014 European Masters we’ve teamed up with the high quality writing instrument company Cross to provide the hole in one prize for the first hole in one performance during the competition. Cross is known worldwide for it’s top of the line products, making them a perfect partner for a top of the line Disc Golf tournament. 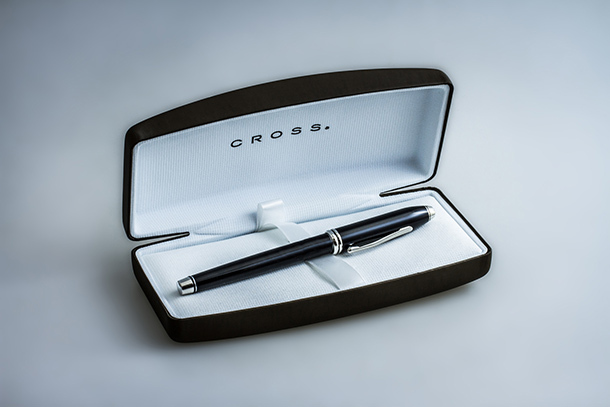 Among other things, Cross is known for being the manufacturer of the official pen of the President of United States, Barack Obama. The first player lucky enough to shoot a hole in one in the tournament will receive a Cross pen similar to the Barack Obama signature model. In case there are multiple hole in ones during the same round, the hole length will determine the prize winner. Cross was also nice enough to sponsor the official tournament pens, that will be used when prize money winning competitors validate that they’ve received the prize money appointed to their respective position after the tournament.